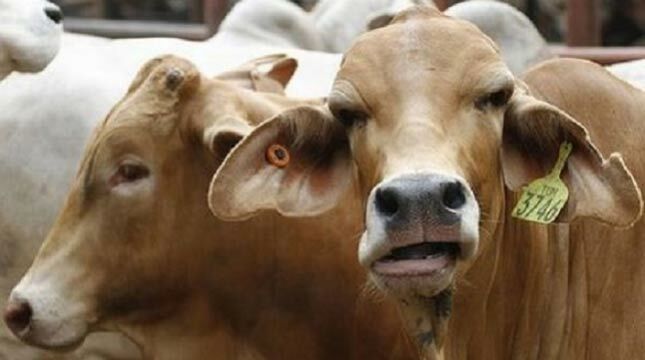 INDUSTRY.co.id - Jakarta - It is the responsibility of the government to take over the effects of the issuance of the Permentan revision relating to the absorption of cow milk, in response to the concerns of farmers. Thus Rahmat Pambudi, Bogor Agricultural University Agribusiness Lecturer (IPB), responded to the growing polemic, following a change in the Minister of Agriculture Regulation (Permentan) relating to local dairy farmers. Permentan No. 30 of 2018 concerning Provision and Distribution of Milk is issued, revising Permentan No.26 of 2017. The effect is that the milk processing industry is no longer obliged to absorb the milk of local cattle farmers. Questions also flow from dairy farmers in the country. Because they feel that there is no certainty of market absorption from the milk produced by their cattle. The responsibility of the government to take over, so that farmers do not lose. Because the protection of farmers and breeders is mandated by Law No.19 of 2013, concerning Farmer Protection and Empowerment, Rahmat said in Jakarta on Wednesday (08/15/2018). Rahmat added that the government must oversee economic stability by keeping the wheels of dairy-based agribusiness businesses must remain profitable on all fronts. So as to create a conducive atmosphere in such a way, to create a mutually beneficial business climate. All, from dairy farmers, animal feed sellers, livestock cooperatives and businesses related to cattle, industry, to consumers, all have to profit. In the sense that there should be no one who enjoys profit, while there are other parties who are losing money, Rahmat added. Ministry of Agriculture certainly understands the mandate of the law to protect farmers. For this reason, according to the Director General of Animal Husbandry and Animal Health Ministry of Agriculture, Ketut Diarmita, the Ministry of Agriculture continues to encourage the national dairy industry to absorb the milk of local farmers as a form of alignment with dairy farmers. The pattern of industrial and livestock partnerships must still be done despite the revision of Permentan 26 of 2017. Previously the Ministry of Agriculture had explained, this policy was issued because the United States (US) threatened to revoke Indonesia's export products from the Generalized System of Preferance (GSP) so as to reduce the value of Indonesia's exports. Also a consequence of the DBS WTO decision, therefore, several laws and regulations related to horticulture and animal husbandry must be revised. "If we dare to be a member of the WTO, the risk is that we must be able to synergize our rules or regulations on the rules in the WTO. After we synergize, it does not mean we have to be resourceful," he said. Moreover, the current conditions according to Ketut, there are global dynamics that continue to erode the value of the rupiah. As a result, the supply of raw materials (milk) is felt to be increasingly expensive. Domestic substitution of raw materials (milk), is very much needed so that the processed milk products are still able to compete, both in the domestic market and the ASEAN and Asian markets. Ketut added that so far the Ministry of Agriculture has always carried out its function of providing assistance to national farmers. Program to advance farmers, one of them is subsidized cattle insurance, Artificial Insemination (IB) in the Special Efforts of Mandatory Bunting Parent (Upsus Siwab), Special People's Business Credit for cattle breeding, as well as facilitating livestock-specific vessels.